Though 2 years later than its first release, the (new) Nissan Navara has finally made it into South Africa. Bernie Hellberg recently gave it an official welcoming in the dunes of Lambertsbaai. The much anticipated, long-awaited, oft-vaunted, and already two-year-old Nissan Navara is finally here, albeit two years later than the international launch. But, despite its tardiness, I’m thrilled. Why? Because the new Navara brings back much of what made the original Navara so successful. It is big (taller than the Hilux, has a better approach and departure angle as the Ranger, with a deeper load area than all its competitors), imposing, and unsurprisingly solid. It also raises comfort levels to be at least in-line with the rest of the market and boasts a segment-first standard navigation system. On top of all that – or underneath it, more accurately – the Navara brings another industry first in the form of a fancy new five-link independent coil suspension setup. It’s all Navara, and it’s really good. But, is it great? 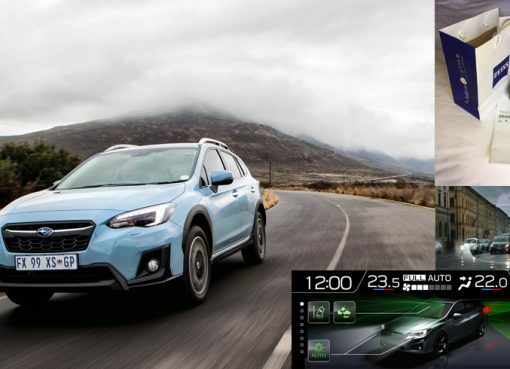 Is it a quantum leap forward for the industry, a veritable segment leader in the same way the original turned the segment on its head as the first true leisure off-roader? The answer is an emphatic, sort of. Without a doubt, the new Navara is a logical and credible successor to the previous generation vehicle and rewrites some of the rules for leisure off-roaders. At the top of the list, the new five-link independent coil suspension system is probably the most radical. Designed specifically for the new Navara, Nissan says that it brings genuine car-like comfort to the **bakkie** segment and that it is a first for a “mainstream one-tonne pick-up”. It does not mean, however, that the rear wheels are independently sprung. Like its market brethren, the Navara still has a solid rear axle, although the coils that connect said axle to the ladder frame chassis, makes for a more comfortable ride. There is no doubt that the Navara’s rear suspension system is a clever piece of kit, especially since it is designed to be replaceable for conventional leaf springs on workhorse versions. But, I am not quite convinced that, unladen, it feels substantially better than, say, the pliant Volkswagen Amarok, and I might even align it to the new Mitsubishi Triton in terms of general ride comfort. Pop a couple hundred kilos on the back (it can handle 1,002 kg) and the experience is likely to live up to Nissan’s SUV-like road manner claims a tad better. Road holding is another matter, of course, as is directional stability, and an independent coil-sprung set-up will trump a conventional leaf spring system any day. This was proven during launch, where both significantly rebellious gravel surfaces and long stretches of twistier roads proved no match for the Navara. Nissan launches the Navara with three models and two spec levels – SE and LE – all with its new 2.3-litre four-cylinder turbodiesel engine. In SE guise, transmission options include a standard six-speed manual or Nissan’s new seven-speed auto. Although there is a substantial price differential (R51,000 to be exact) between the two derivatives, the new smooth-shifting auto takes all the hassle out of off-roading and ensures that torque delivery is optimised all the way up to the 5,000 r/min red line. Delivering 140 kW and 450 Nm of torque, the Navara is most things to most situations – seeing off hurried overtaking manoeuvres as easily as it traversed the dunes of Lambertsbaai. Speaking of dunes, the Navara really showed its off-road mettle in the sand, taking the arduous terrain in its stride with its on the fly-activated (up to 100 km/h) four-wheel-drive system with both 4H and 4L modes. Towing of a braked trailer weighing up to 3,500 kg should be easy pickings too, and doing a basket comparison of turbodiesel competitors, the Navara trumps everything from the 2.4-litre Triton, through the 2.8-litre Toyota Hilux, and all the way to the massively underpowered for its capacity, Ford Ranger 3.2-litre V6. The Navara comes into its own where it matters most – inside the cabin. 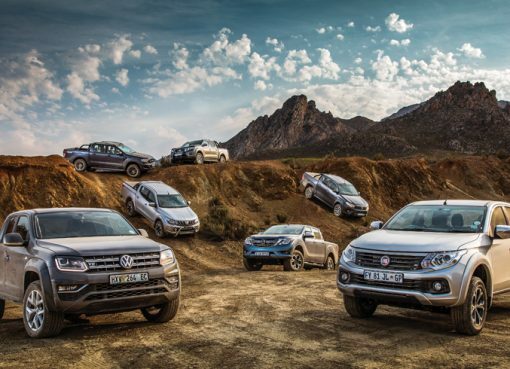 Feeling solid and refined, it has taken a great leap forward over the old Navara, and brings interior comfort levels right up there with the likes of the gentleman’s **bakkie**, the VW Amarok. Navigation comes standard across the range, as does Bluetooth connectivity with USB and auxiliary connections, class-first rear air vents, and a tiny electrically operated rear window similar to what was offered on the first-generation Mitsubishi Triton. All models boast seven airbags and a comprehensive list of additional standard luxuries including automatic headlights, air conditioning, cruise control, three 12V sockets in the cabin, and an automatic dimming rear view mirror. High-grade models also add features such as dual-zone climate control and keyless entry with a Start/Stop button, although leather seats with a heating function is a R13,000 optional extra. Although Nissan attributes the Navara’s late market entry to the fact that their engineers were preparing the Navara for the uniquely rugged local conditions, there is no doubt that a delayed introduction has effectively put some of its competitors ahead of the game, which is a pity. But the Navara doesn’t disappoint on any level, and I have no doubt that Nissan will easily reclaim some lost market share. In particular when 4×2 double cab derivatives and single- and cab-and-a-half versions arrive later this year and in early 2018 respectively. 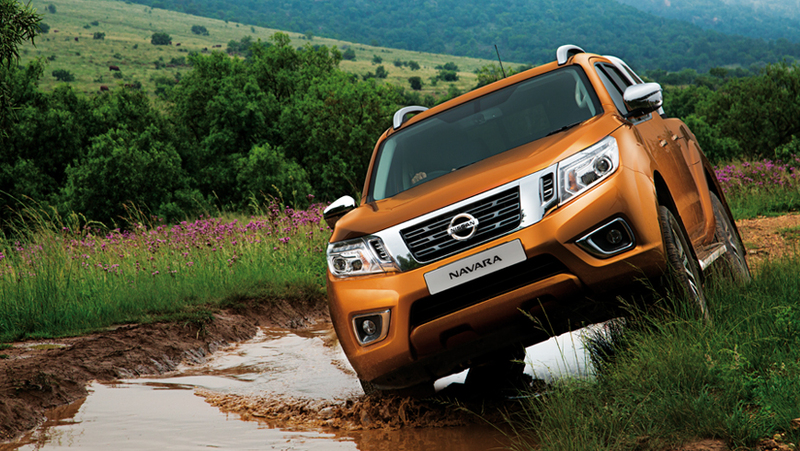 The Navara is sold with the Nissan Assured warranty that includes a 6-year/150,000 km mechanical warranty and a comprehensive 3-year/90,000 km service plan.